Today i'm Going to Write something about using Absolute Path. dir will list contents in The current directory. Here you can see a text file name msinfo.txt, Lets try to open it. Yes, There is no cmdlet,Function,Script or any other operable program named msinfo.txt. PowerShell need Absolute path to open a file and is a wonderful feature in PowerShell when we think about security. So what is Absolute Path ? Absolute path is a path for a file using its complete full path name. 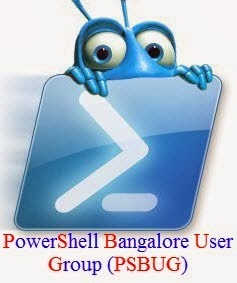 and you can see, Powershell is well enough to understand what we were trying to do and is show by providing suggestion. And here also we've got one.You can see it next line of the thrown error. tion by default. If you trust this command, instead type: ".\msinfo.txt". See "get-help about_Command_Precedence" for more details. So PowerShell is suggesting us by saying that msinfo.txt is there in the location, But Windows PowerShell Does not loads commands from current location by default.The way to accomplish this is by using . '\' or by typing the fullpath 'c:\Users\Kvprasoon\msinfo.txt' . This is one of the way how Windows PowerShell gives us security in running executables and other scripts from the current location.